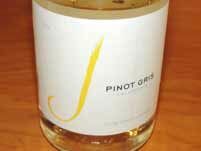 Judy Jordan founded J in 1986 to produce sparkling wines of distinction as well as still Pinot Gris and Pinot Noir. The winery’s vineyard holdings encompass 278 acres of diverse hillside, bench land and valley floor plantings. 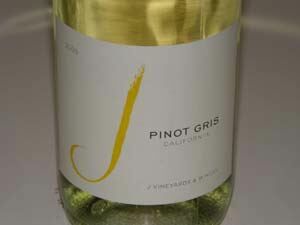 The J sparkling wines have been exceptional through the years, the Pinot Gris is among the best in California, but the still Pinot Noirs had failed to distinguish. 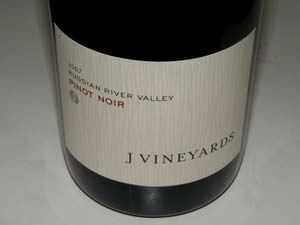 In early 2006, George Bursick, the former winemaker at Ferrari-Carano for twenty-two years, was hired along with viticulturalist John Erbe to transform J with an emphasis on site-specific Pinot Noir. 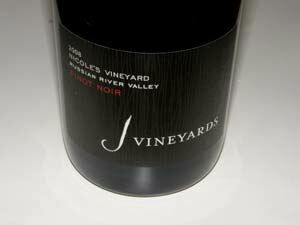 The 2007 vintage was the first to fully show the fruits of their efforts. Bursick harvests and vinify each of the many blocks from the vineyards separately. In the winery he implemented the use of Burgundian yeasts and malo-lactic strains, specific lot fermenter punch down regimes, extended fermentations, gravity flow processing, unique French Burgundian barrels, and thoughtful "batonage" during aging. Seeds are removed early in the winemaking to reduce tannins and improve textures. 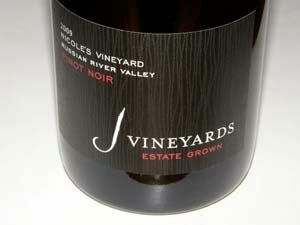 The Pinot Noir lineup includes a Russian River Valley Pinot Noir, Nicole's Vineyard Pinot Noir, Sonoma Coast Pinot Noir, Nonny's Vineyard Pinot Noir, and Barrel 16 Pinot Noir. 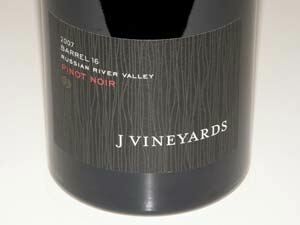 Under Bursick's direction, the wines have become world-class in 3 year's time. The sparkling wines continue to be among California's best with a focus on Brut and Brut Rosé. 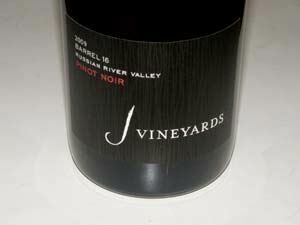 In 2011, Bursick chose to leave J and develop Bursick Wine Consulting. 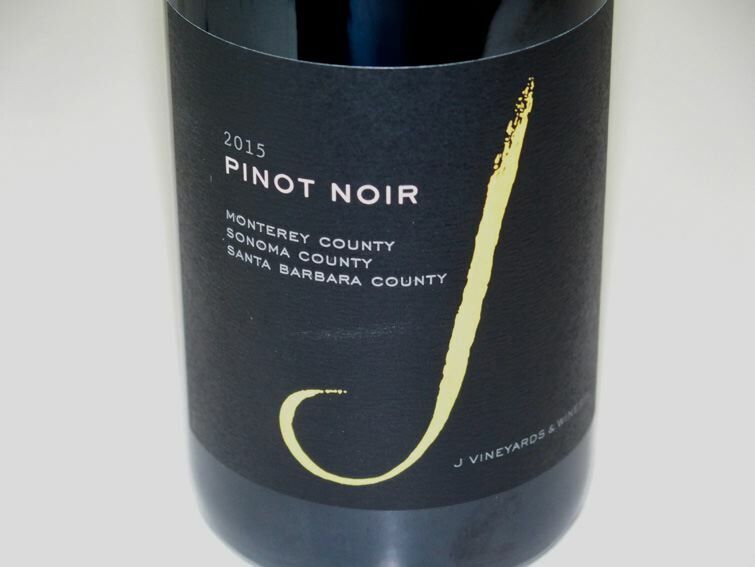 He was replaced by Melissa Stackhouse who was the Winemaker at La Crema from 2003 to 2010, and most recently, Pinot Noir Winemaster for all Jackson Family Wines. 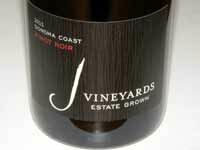 In early 2012, J Vineyards & Winery achieved certified sustainable status through the California Sustainable Winegrowers Alliance. 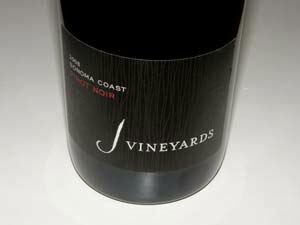 The certification covers all vineyard and winery operations. 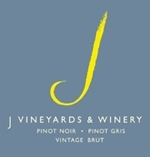 J has a beautiful tasting room at 11447 Old Redwood Highway in Healdsburg where special food-wine pairings can be arranged and sophisticated tastings of sparkling wines scheduled. The winery is celebrating its 25th Anniversary in 2011. 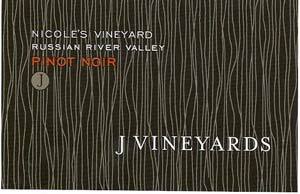 E.&J.Gallo acquired J Vineyards & Winery and label, along with 300 acres of vineyards in the Sonoma and Russian River Valley for an undisclosed amount in March 2015.